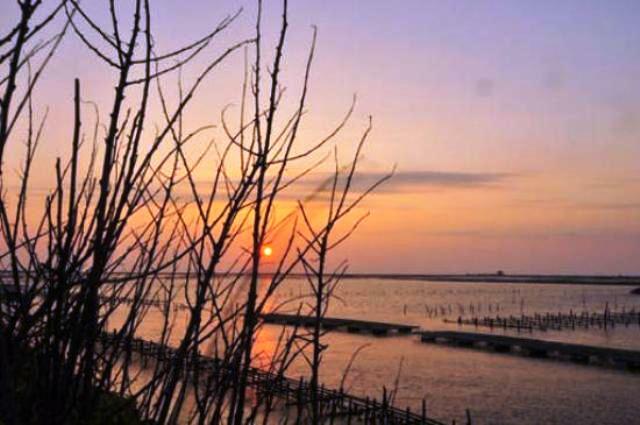 Part of Chiayi County is covered by the Southwest Coast National Scenic Area, which also covers the coastal areas of Yunlin County and Tainan County. Established in November 2003, the scenic area that stretches along the three counties was designated by the government as a place developed for natural conservation. While some parts of the southwest coast are industrialized, the other parts are important ecological areas that serve as habitats for divese wildlife, and the establishment of the scenic area serves to protect these habitats. Aside from conservation purposes, the area was also developed to attract tourists.